Group members Shea Saffery and Brandon Onishi make up the acoustic duo, Kai Malo’o. They were raised in Kalihi Valley and met as neighbors over 25 years ago. Growing up, they’d play music whenever they weren’t surfing at their home break known for its shallow reefs. In the early 2000’s, Shea was a member of “Uprising”, a local reggae band who played at many well known venues across Oahu and even advanced to the semi-final round of the prestigious “Mai Tai Rumble” band competition. He and his bands also went on to record two CDs and had a few songs playing on local airwaves. Brandon continued to refine his musical chops moonlighting as a solo artist and as a member of a few different bands. 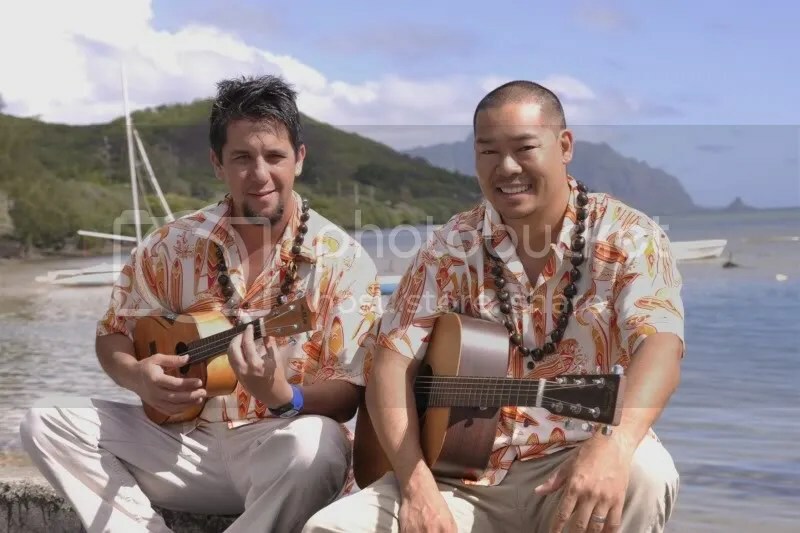 Today, Shea and Brandon continue to play music and combine their many years of experience to offer a unique blend of traditional island and Hawaiian music infused with modern and contemporary flavors. The sound of Kai Malo’o will spark memories from days past and present.